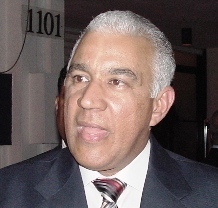 Santo Domingo.- The mention of Senate president Reinaldo Pared by the attorneys of his predecessors Andres Bautista in the Odebrecht hearing stoked heated exchanges on the first day of the defendant’s defense on the alleged bribes paid to approve loans and contracts. Bautista’s lawyer Carlos Salcedo said that of the 16 works built on Odebrecht’s bribes, his client only approved three while Pared approved the rest and asked the prosecution why the current Senate president hasn’t been indicted. Salcedo said Pared approved loans of over US$3.0 billion while Bautista approved only US$267 million.